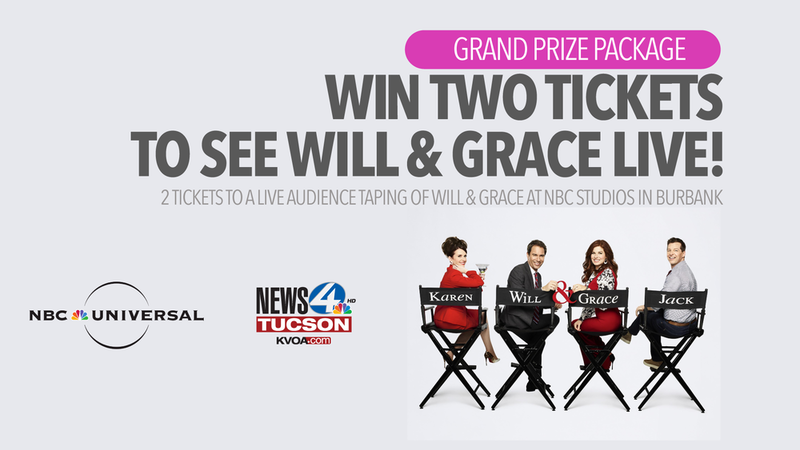 NBC Universal and Pete King Presents cordially invite you to the Official Season Premiere Party for the Season 2 reboot of WILL & GRACE! Big life changes are happening to the fab four as the reboot continues with Karen getting a divorce, Will getting a new job, Grace getting a new love interest (David Schwimmer from "Freinds," and (wait for it.....) Jack getting "GULP" married?!! HANG OUT WITH US in The Warehouse at O'Malleys Bar and Grill for drinks, clips from prior episodes, a supergay soundtrack and your chance to go to Hollywood for a taping of the show! $9 AT THE DOOR includes your regular $7 G3 Entry, your first drink and a $2 charity raffle ticket for the prize drawing. SUNLINK STOPS RIGHT IN FRONT on 4TH AV. 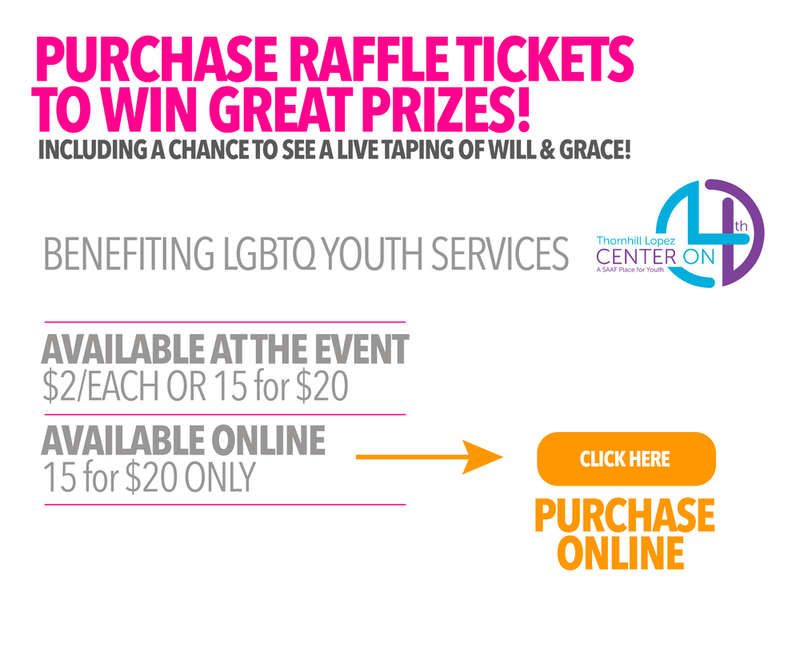 100% of VIP Lounge sales and Raffle Tckets benefit LGBTQ Youth Services at The Thornbill Lopez Center on 4th"
You could win one of several great prize packages including a live taping of WILL & GRACE! 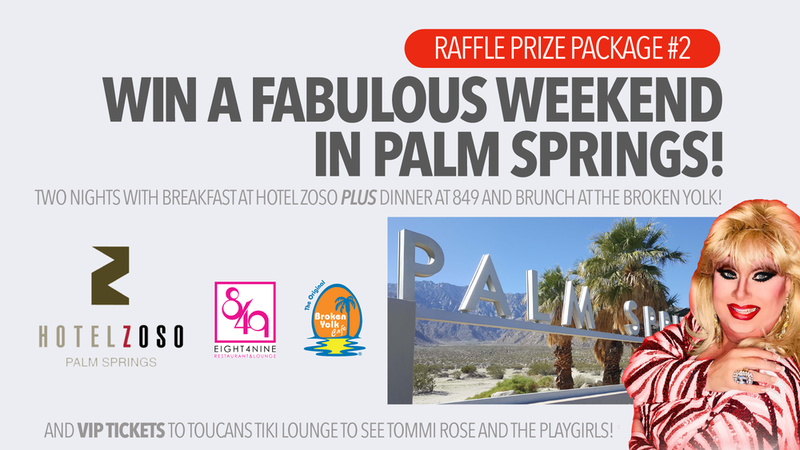 You automatically get one raffle entry with your entry at the door but you can Increase you chances of winning by purchasing extra raffle tickets!